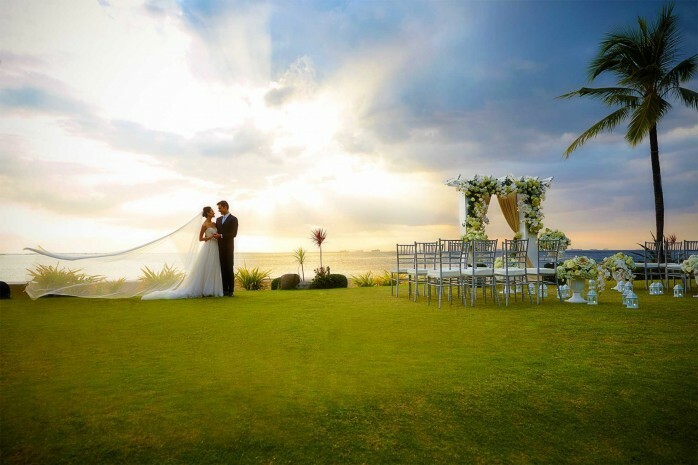 Imagine walking down the aisle amidst an expansive tropical setting overlooking the stunning Manila Bay. Choosea picture-perfect garden set-up with a beautifully-adorned marquee, designer blooms and the company of friends, family and loved ones. Or picture entering a grand ballroom of opulent extravagance withhistorical Murano chandeliers overhead,astring quartet playing in the background and guestsbefore you, celebratingthe beginning of your new life as a married couple. With an InspiredMeetings team dedicated towards staging celebrationsinspired by betrothed’s vision, there is only one address for weddings that dreams are made of.From intimategatherings to grand affairs, Sofitel Philippine Plaza Manila is the premier destination for weddings and milestones in the making. Every step in your journey towards the altar is an undertaking for our InspiredMeetings team carving out heartwarming memories for the couple, their family and friends. With our newly-opened Events Lounge at Sofitel Philippine Plaza Manila, the minutest detailsaremeticulously planned for a truly memorable wedding. Our masterful artisans caters to your discerning palate with an unparalleled gastronomic voyage tailored to taste from cocktails and canapés under the stars, a scrumptious international buffet to extensive and elaborate Chinese Lauriat feast. As the big day draws near, our selection of wellness venues serve as the ideal haven for relaxing indulgenceandstaging area for wedding preparations. Beauty experts of Vietura Aesthetic Lifestyle presentthe bride with a menu of beauty treatments forthat wedding glow. Pamper yourself from your roots down to your fingertips with signature offers at LeSPA and Nail Artisan. And for luxurious tresses and picture-perfect make-up, Philippe Tordjman’sLe Salon enhances natural beauty and radiance for the special day ahead. 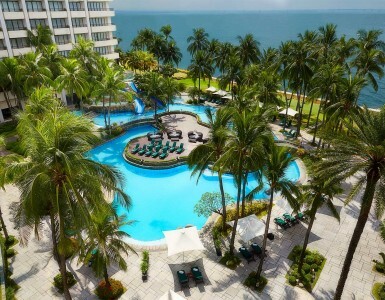 Commemorate this wonderful occasionin our selection of venues featuringluxurious haven of lush greenery, iconic lagoon-shaped pool and an unparalleled view of the horizon. 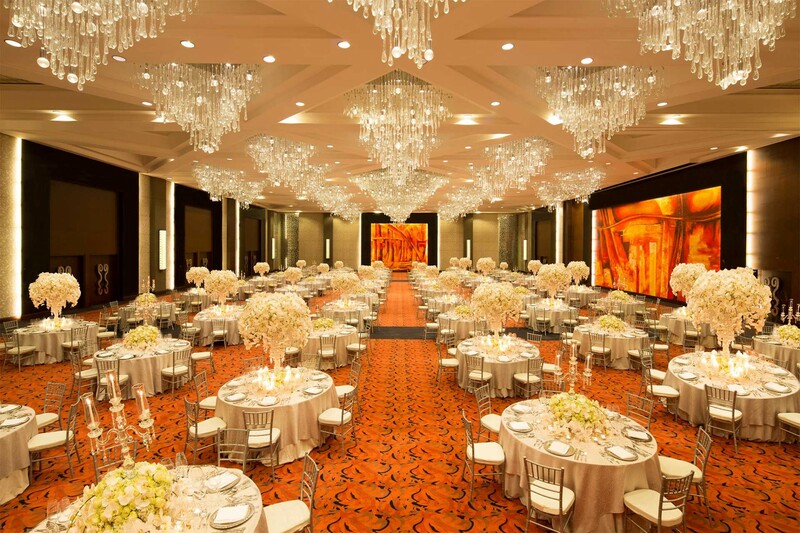 The refurbished Grand Plaza Ballroom, an artistic resonance of French elegance and Filipino craftsmanship has served as the venue for lavish occasionsof up to 1,500 guests with its column-free receptionand the luminous Murano tear-drop chandelier. 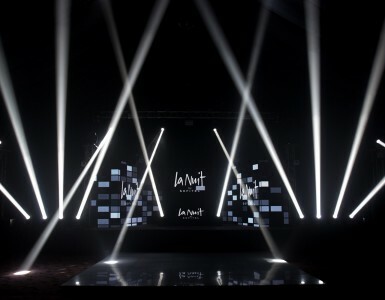 The selection of function roomsand 2 expansive marquees,which caterto parties ranging from 70 to 2,000,presentthe luxury of options for private gatheringsto grandiose events. 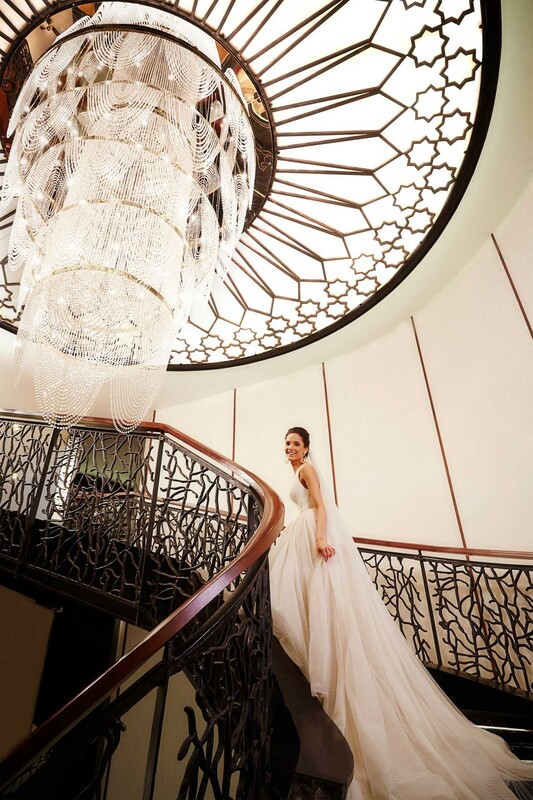 A grand winding staircase leading up to an ornate chandelier and the garden with the spectacular Manila Bay sunset in the background are among the idyllic venues for captured moments in this special occasion. Scattered rose petals, the heady combination of champagne and decadent pralines set the mood for the couple’swedded bliss. 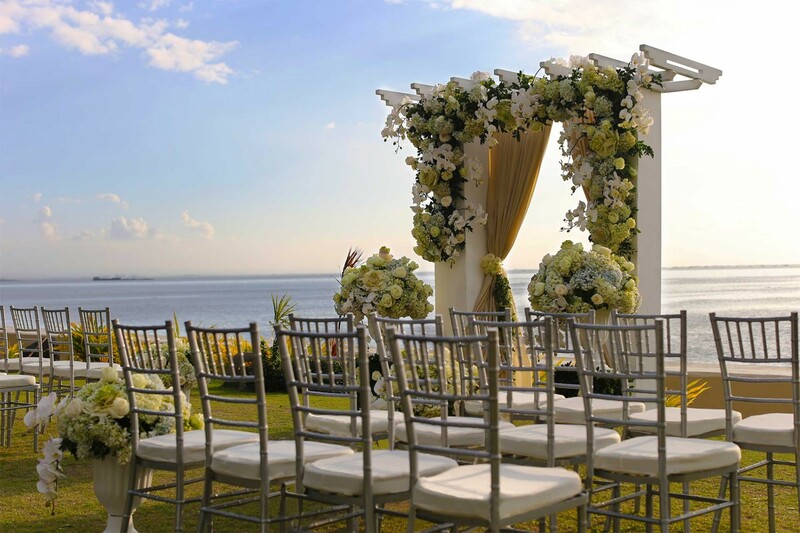 From wedding, reception onto one of Sofitel’s corner suites overlooking the Manila Bay culminates an eventof unequaled opulence with the minutest detail present to celebrate the couple’s new life as husband and wife. 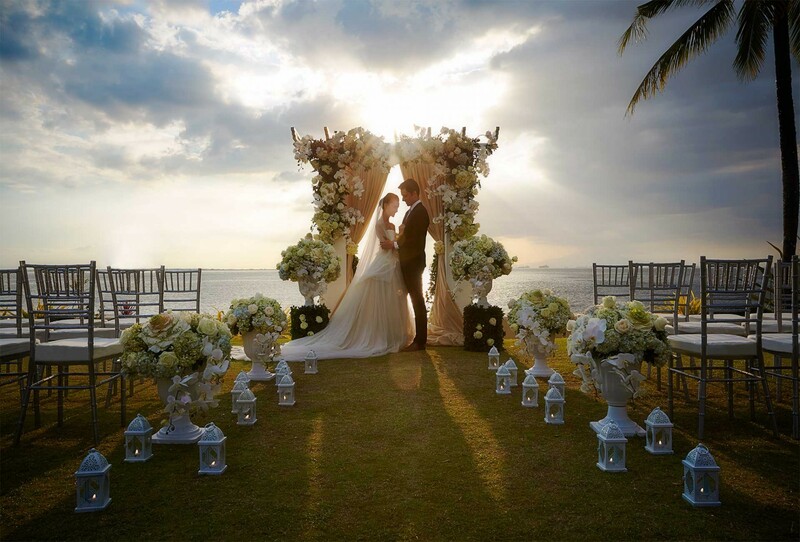 With intricatedetail from the capiz shells to the coconut inlay on wooden furnishings, modern fixtures and Hermes and Lanvin amenities, guests are spoilt for choice in a truly world-class wedding destination.